This blog is going to be my space for sharing my Fuji x100 photos as well as talking about photography and my life as a photographer. 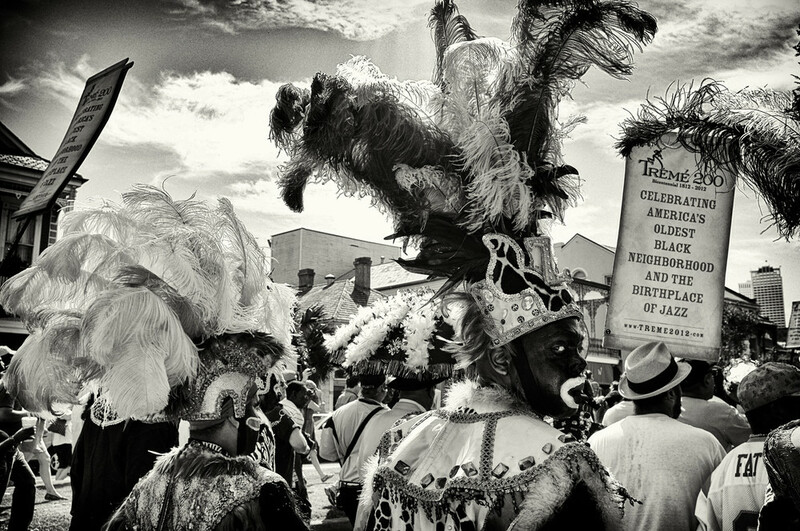 There will be street scenes, Mardi Gras Indians, celebrations, portrait sessions, landscapes and simple bits of my daily life as I learn to see the world at a fixed 35mm. Using the x100 is part of my shift to a simpler approach to both my daily existence and photography as I seek to prove that art doesn’t have to be complicated or expensive, and neither does life. I’d rather take a trip than buy more gear. I’d rather collect experience than lenses. I’d rather invest in new ways of seeing rather than new cameras. I’d rather continue to develop my personal style rather than spend hours reading Popular Photography’s latest kit reviews. Come along, enjoy the slowness and simplicity for a while, you might like it here.